2018 saw the best rap line-up in music festival history, as Rolling Loud delivered a stellar weekend full of hip hop royalty. This time, the 2018 Rolling Loud Festival took on a new venue with three massive Mountain Productions stages. 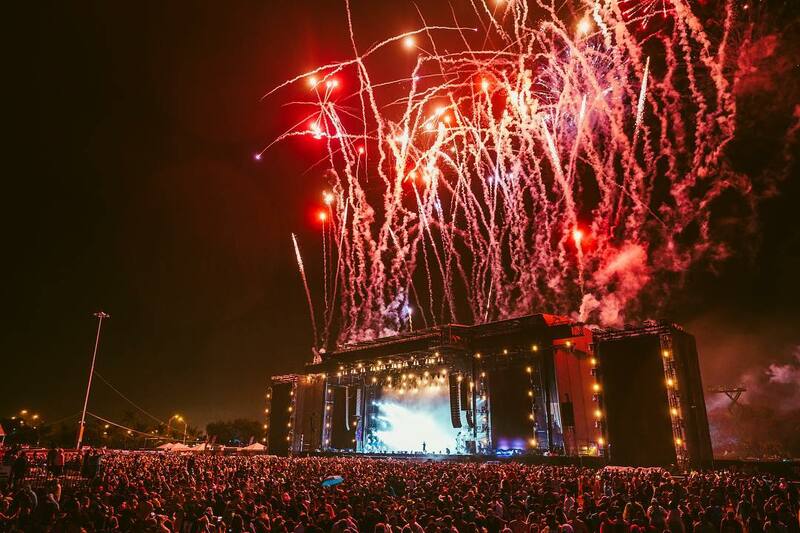 Bringing the party to Hard Rock Stadium in Miami Gardens, Florida, brought an entirely new set-up to the 2018 Rolling Loud festival. In order to live up to the performers headlining, Mountain brought out three all-new stage setups to transform a stadium lot into a dream venue. Google Maps may have taken the thousands of fans to Hard Rock Stadium, but there was no mistake that, from May 11-14th, this was Rolling Loud country. Mountain’s custom made entryways made sure that the crowd knew exactly where they were going and the excitement they would be in for throughout the festival. The MTN VIBE team designed and fabricated two massive entryway structures to welcome fans to the High Hemp and Audiomack Stages throughout the weekend. These structures were designed in Mountain’s affiliate office in Dublin, with the help from our creative partners at Algorithm. Each entryway was adorned with a 15 foot tall giant gold medallion and chain draped over the structures. Mountain faced the challenge of creating canvases to hold the biggest gold chains on the festival grounds. 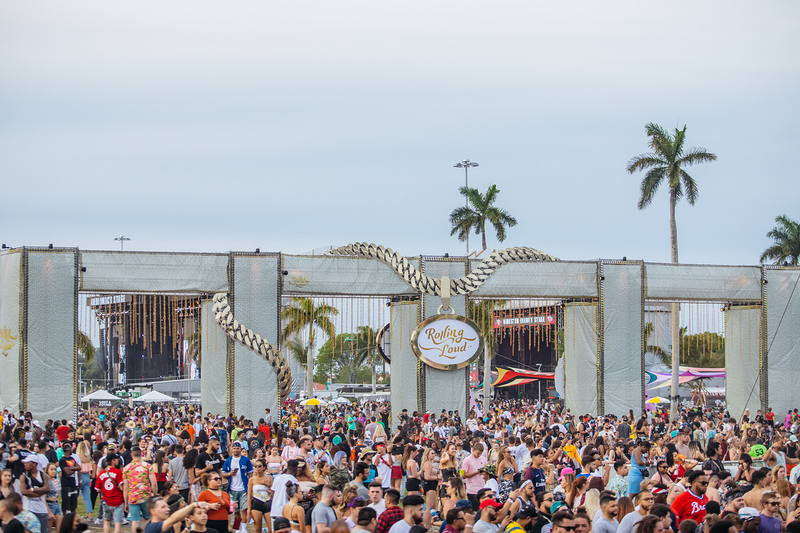 For a showstopping entryway, Rolling Loud required a structure spanning 180 feet wide and 35 feet tall. The magnitude of the structure left a lasting impact on the audience, not only assisting with crowd control and direction, but as a meeting point for endless group Instagram shots. Mountain also provided a full-range of support structures to bring the 2018 Rolling Loud festival to life. Delay towers and spots stood tall. VIP platforms and barges kept things elegant. Mountain’s Front-of-House structures kept things loud and in control. Camera platforms brought the party to millions worldwide, but the fans – the fans brought another weekend for the hip-hop history books. To bring the best possible experience, Mountain also debuted their new MTN I-Header custom video package at the 2018 Rolling Loud Music Festival. Exclusive to Mountain Productions, the MTN I-Header custom package is a first of its kind at such a scale. It’s integrated, high-capacity motor is designed to lift video screens and lighting truss to new heights and capabilities. Designed specifically for our MTN HD and HD+ Staging Systems, our MTN I-Header package was a huge step toward bringing the 2018 Rolling Loud festival to life, giving you access to your favorite stars no matter where you found yourself standing. The only hard decision to be made at Rolling Loud was which of the three stages to hit up and when. The Audiomack Stage packed a punch all weekend long. Friday night got the party set off with the likes of Young Dolph, Playboi Carti and the long-anticipated public comeback of N.E.R.D. Saturday featured one of everyone’s favorites, Wiz Khalifa, to close out the night. Machine Gun Kelly and Lil Yachty closed things out on the Audiomack stage Sunday night. 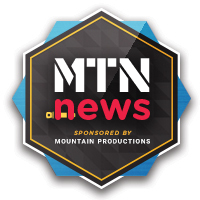 Mountain’s MTN HD+ festival stage brought the Audiomack performance space to life. 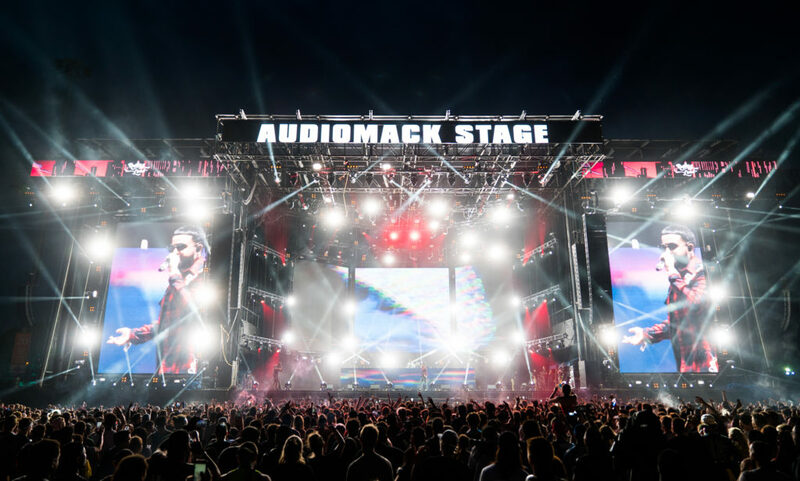 Standing at an impressive 80 feet by 40 feet, with 64 foot towers and 45 feet wings built on each side, the Audiomack stage was built to handle anything the rap royalty had in mind. The Audiomack stage was also appropriately donned with a custom entryway fit with two 15 feet tall medallions bearing the festival name. This 90 foot wide, 35 feet tall large-scale scaffold entryway added a touch of custom flair for the 70,000 fans walking through to see their favorite artists. 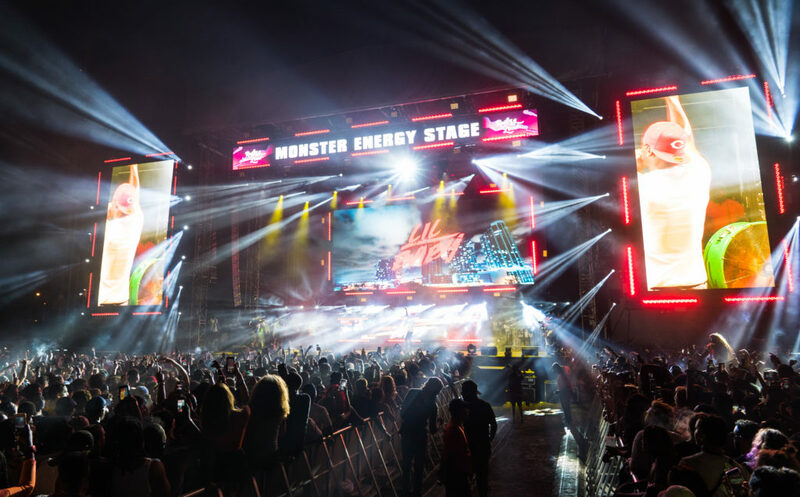 The Monster Energy Stage featured performances from Diplomats, Fetty Wap and Juicy J. This stage offered a little something for everybody throughout the weekend. Mountain’s SP-1 Stage System brought a robust and tough look to Rolling Loud’s Monster Energy Stage vision. This stage brought the size and strength needed with the look and feel fit for the legendary performances we saw in Florida. Our SP-1 Staging System made building the Monster Energy Stage look easy. With automated Backwalls and Sidewalls and towers that are self-lifting, the SP-1 stage made this a fast and efficient build done right. 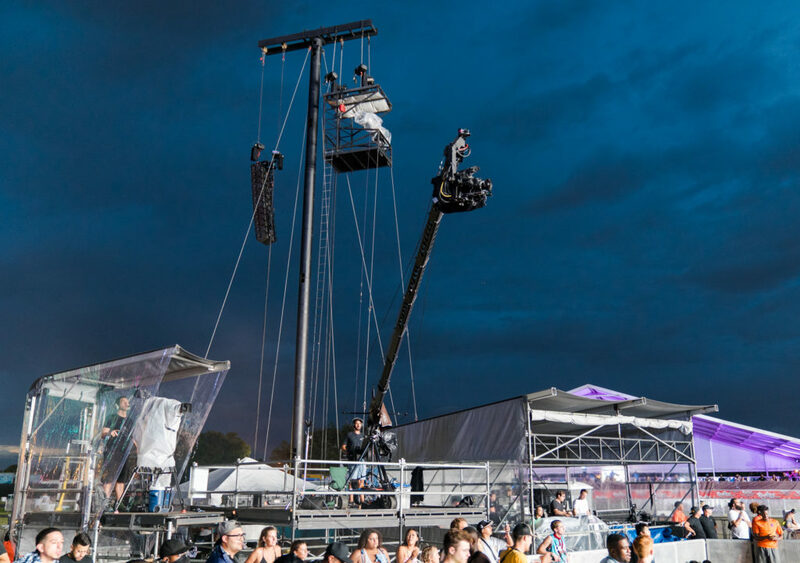 Designed with a capacity ranging between 60,000 and 180,000 pounds, the SP-1 is the newest in staging technology and is quickly being implemented in this year’s biggest festivals, so its no surprise that it was the perfect choice for Rolling Loud. As Rolling Loud’s main stage, you know the High Hemp Stage was the place to be. Friday brought Young Thug, Lil Uzi Vert and J. Cole out with banger performances and special guests. Gucci Mane, Migo and Travis Scott kept things heated on Saturday, along with a surprise performance from Meek Mill making it his first since being released from prison. Rick Ross, 21 Savage, Post Malone and Future left the crowd going home on Sunday satisfied. Mountain crews used our signature MTN HD+ Staging System to build a performance space as intense as the stars upon it. 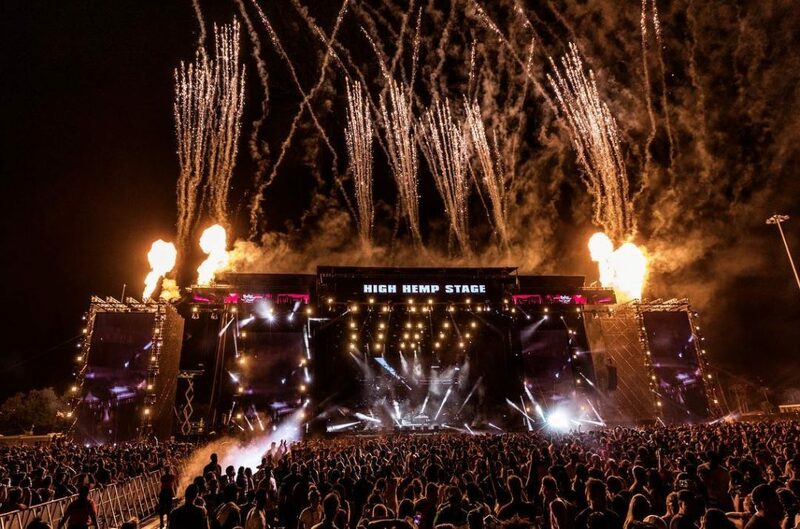 Spanning a massive 80 feet by 40 feet performance area, with additional 40 feet wings on each side, the High Hemp stage transformed the Hard Rock Stadium lot into a festival venue fit to take on any other major music festival.